Our fragrances are truly masterful creations. They represent centuries of expertise and artistry woven into compositions that are always seeking to create wonder for the nose. The fragrances we wear and love contain natural ingredients sourced from all four corners of the globe, each grown and harvested with care, technical know-how and passion. They are blends of beauty straddling the borders of science and art, but most of all they are more than the sum of their parts and more than just materials – they are moments of joy, lust, sadness and wistfulness. They are everything we want them to be and more. 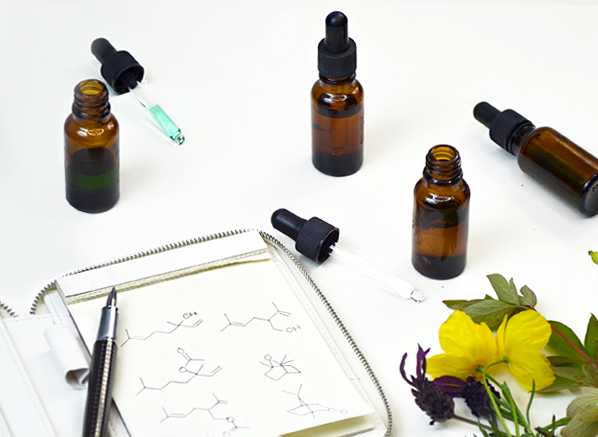 A vital element of modern perfumery is the aroma chemical – materials synthesised or isolated from nature. These materials provide texture, expanse and fullness, not to mention a wide array of fascinating odours, and without them, perfumes would fall a little flat, like a soufflé pulled from the oven too soon. Aroma chemicals are the baking soda of the perfume world – that vital ingredient that makes everything click perfectly into place. Now aroma chemicals are not new, by any means. Materials such as aldehydes and coumarin have been used in perfumery for over a century, but as the industry becomes more demanding for more newness, the big fragrance houses (the likes of IFF, Firmenich & Givaudan etc) are constantly on the hunt for new aroma chemicals that drive the art of perfumery even further forward with novel and beautiful olfactory impressions. In this piece, we’re looking at five famous aroma chemicals and the scents they’ve made so wonderfully distinct. Aldehydes are easily the most famous of all aroma chemicals, so they make for a very good place to start in our brief exploration of this vast and varied world. You’ll know them as the glorious champagne-bubble effect in CHANEL Nº5, but they really are very versatile and it’s important to note that there are many different types of aldehyde, each of which provides a different impression to a fragrance, ranging from dry fizziness to lemon sherbet. One of my favourite uses of aldehydes is in Comme des Garçons 2 Man. The reason I like the aldehydes here so much is because they’re used in an unconventional way within an unusual setting. Perfumer Mark Buxton has woven aldehydes into the dense cedar and incense fragrance to create something rather luminous via the snuffed-out candle effect of aldehydes. This raises the pitch of the scent but also gives it a fascinating edge. 2 Man is far removed from the glitter of Nº5 and it goes to show just how versatile this group of materials is. Ethyl Maltol is the candy floss molecule. That’s right, folks – this one smells like cotton candy! Actually, the odour profile for ethyl maltol is more complex than that. It has the distinct odour of toasted sugar, but it also possesses a fruity facet that smells like strawberries steeped in syrup. As you’ve probably guessed, the result is somewhat sugary (understatement of the century) and with the increase in demand for tooth-achingly sweet scents, the material has become more and more prevalent in mainstream perfumery. Oddly enough though, the crystalline nature of ethyl maltol makes it surprisingly transparent for something so sweet (it is a mushroom cloud of sweetness if I’m being honest) giving an airy impression. If you’ve ever sniffed Angel by MUGLER, you’ll recognise ethyl maltol as the sweet scent of spun pink sugar. Angel is the scent that made the material famous but it’s not the scent that boasts the most literal take on ethyl maltol, no, that sugary crown sits firmly upon the head of Viktor & Rolf’s Flowerbomb. 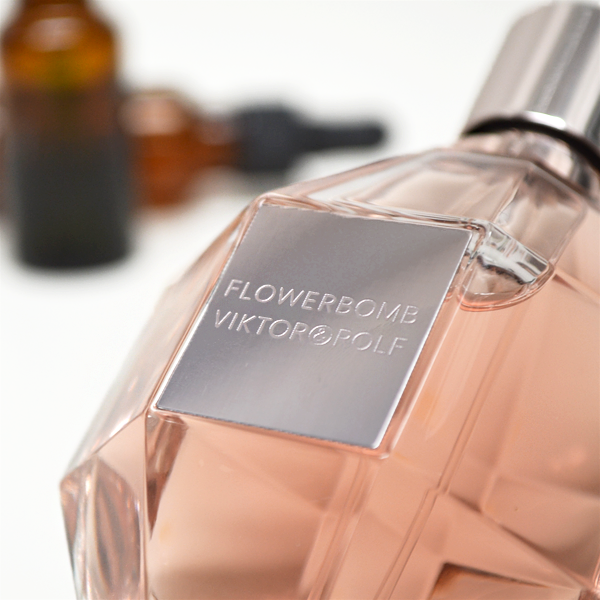 Flowerbomb is an overdose of ethyl maltol that verges on the edge of acceptable. It is unashamedly and gigantically pink, deliciously toasted and so sweet that it is likely to send one running to their dentist in an act of repentance. Flowerbomb is so great because it’s so ridiculous. It is excess at its finest and it’s responsible for the resurgent wave of sugar scents that populate the department stores today. When they pulled the pin on that ethyl maltol grenade, little did Viktor & Rolf know that they were going to unleash a sugar monster that we could all devour for years to come. Hedione is one of my favourite materials because it is just so pure and radiant. In fact, ‘radiance’ is the whole purpose of this aroma compound. Used for its jasmine-like odour, hedione turns a flat and lifeless fragrance into something gleaming and large, creating an expansive horizon of golden scent. 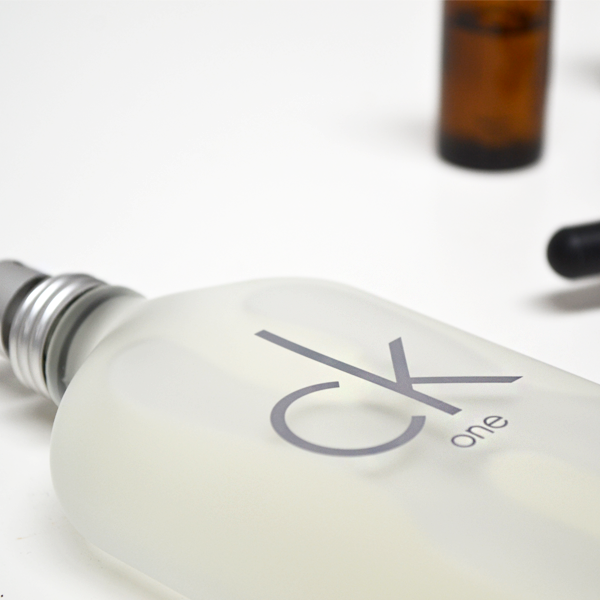 You’ll know it from scents such as Dior’s famous Eau Sauvage, but perhaps its most notable use is in the one and only CK One. Calvin Klein’s CK One is famous for many things – its super cool ‘90s ad campaign and its genderless signature, to mention just two of those things, but it’s also famous for its hedione. This super synthetic citrus scent is turned into something glorious and golden by the addition of hedione, which also brings a floral touch into play. CK One without hedione would be like a Creme Egg without the filling, which is to say completely and utterly lifeless, and nowhere near as iconic! Iso E Super is a pretty ‘super’ aroma chemical if you ask me! (Thank you, I’m here all week). It has fast become one of the key staples of modern perfumery due mainly to the fact that it really does magic things to a composition. Iso E Super is one smooth dude. He swans into a fragrance composition, snuggles up next to its many materials and whispers sweet nothings into their ear, making them all smooth. It boosts woody notes with its warm, sweet/salty-woody aroma, whilst creating expanse and space in between notes, allowing them to really shine. The funny thing about Iso E Super is that, unlike the likes of ethyl maltol (which can be smelled from the outer reaches of the Milky Way – fact), one often doesn’t know that it’s there. Iso E Super is the unsung hero that lurks within a perfume creating intriguing olfactory effects rather than dominating with its own odour. 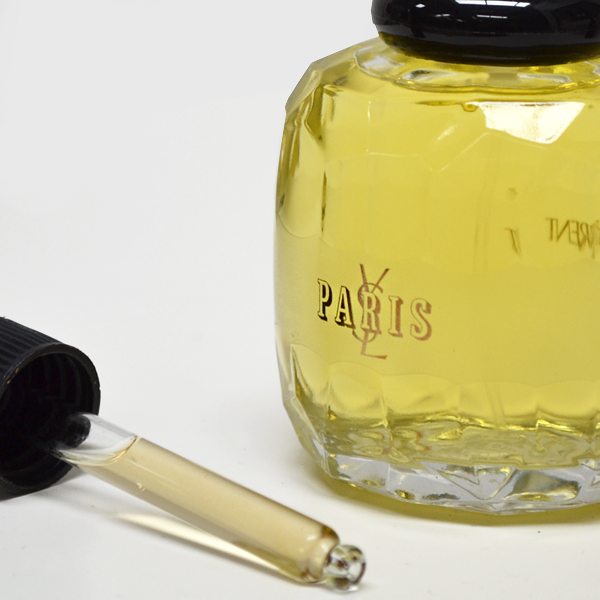 Take Paris by YSL for example. When one thinks of Paris it’s rose, violet and mimosa (in wonderful pastel shades, I might add) that spring to mind and not Iso E Super, but the truth is that there is a lot of the stuff in Paris (and many of Perfumer Sophia Grojsman’s masterpieces, FYI) giving the whole thing a wonderful smoothness and a huge amount of lift. So yes, Iso E Super is one nifty molecule, even if you didn’t know it was there! And now for something completely different… Azurone is a marine molecule with a strange and complex odour profile. In Barbara Herman’s book ‘Scent & Subversion’ Perfumer Antoine Lie describes Azurone as smelling “a bit like saliva when you lick your skin and smell it”, which is quite the description. The material is ozonic and metallic, but most of all it is tenacious with a throw and longevity that remains unrivalled. If you don’t like it, then tough luck because Azurone plans to stick around, FOREVER. Trust me, after the world inevitably ends due to a nuclear winter there will be three things left in existence; cockroaches, Cher (girl’s got longevity) and a big puddle of Azurone. If you’ve smelled Sécrétons Magnifiques then I am deeply and sincerely sorry. I do hope you’ve recovered and please know that this is a safe space where I will most definitely not be asking you to sniff it again. You see, Sécrétions Magnifiques is truly horrendous, but please do not read that as me being a shady fellow, because that’s exactly what Etat Libre d’Orange wanted. 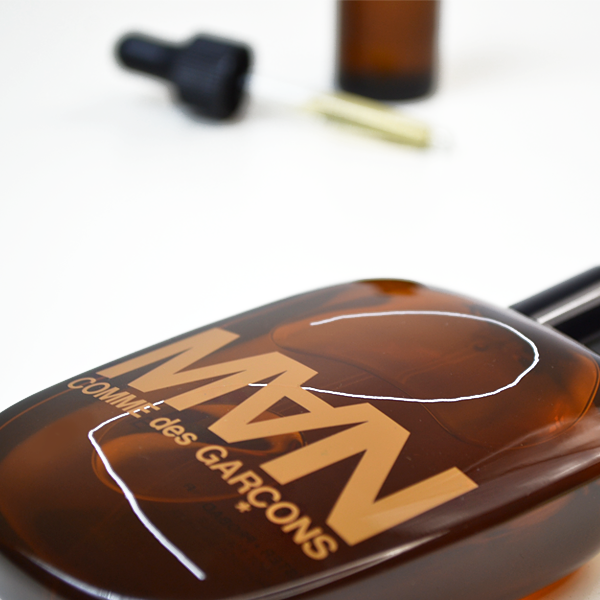 Created to evoke bodily secretions, Sécrétions Magnifiques boasts a wide range of aroma chemicals to create a melange of blood, sweat, sperm and saliva. The saliva part comes from Azurone and a whole heap of it too. Once again in Scent & Subversion, Antoine Lie, who created the perfume, talked about Azurone and its overdose in Sécrétions Magnifique, choosing to use it without dilution instead of the recommended dose of “a part per million” – gulp. Azurone proves that there really is a way of capturing all odours out there, even the funky ones! This entry was posted on Wednesday, May 24th, 2017 at 9:00 am and is filed under Uncategorized. You can follow any responses to this entry through the RSS 2.0 feed. You can skip to the end and leave a response. Pinging is currently not allowed.